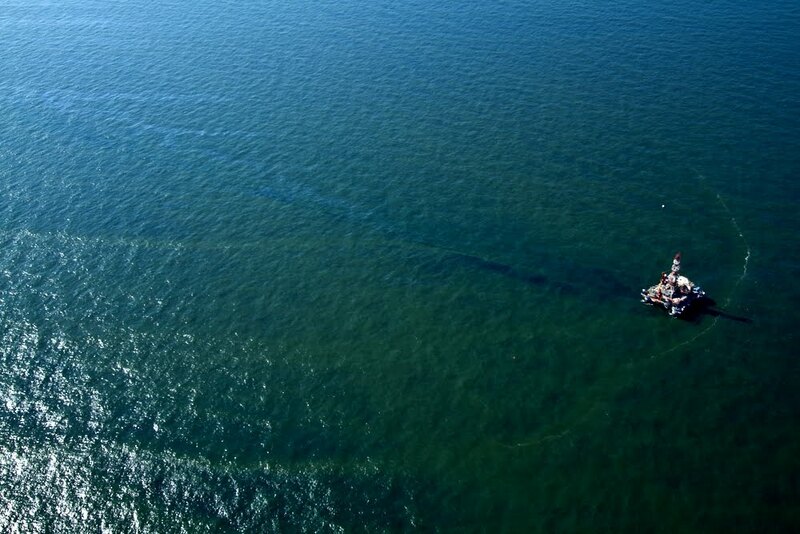 Remember way back in mid-summer, during the peak of the BP / Deepwater Horizon oil spill in the Gulf, when we found an unrelated leak in the vicinity? We noticed a small but persistent slick on satellite images from multiple dates, originating near the location of Platform 23051. 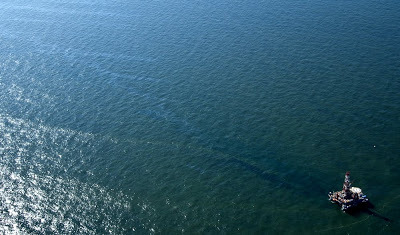 Photographer J Henry Fair flew over the location and found, not a platform, but a semisubmersible drill rig on the site, and a visible oil slick trailing off into the distance. 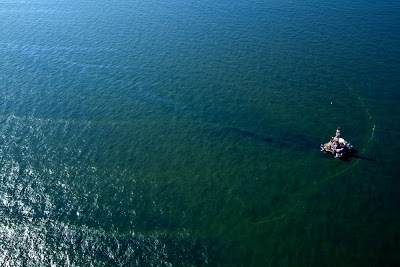 Turns out the rig, the Ocean Saratoga, was working to plug 26 wells that had been damaged by Hurricane Ivan back in 2004 and have presumably been leaking steadily ever since. The former platform on this location is gone – toppled by Ivan, or damaged to the point where it was removed (we still don’t know what happened to it). Apparently plugging this chronic leak is not a high-priority project. 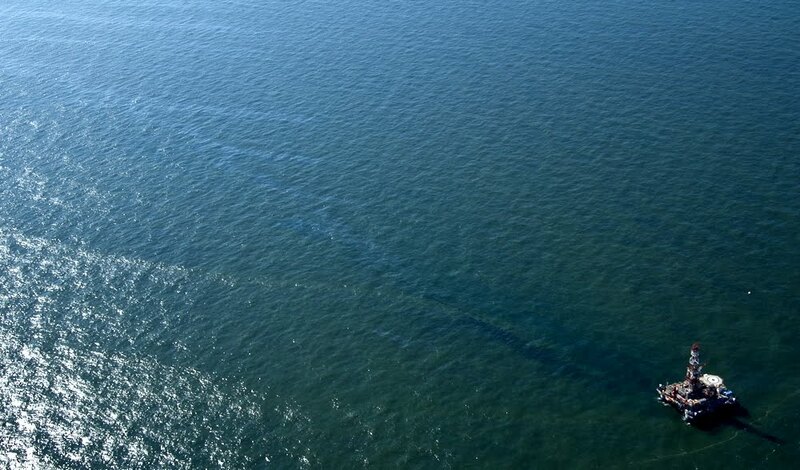 The Saratoga disappeared shortly after our discovery (off to another, more lucrative drilling job?). Well, it’s back on site again. This time photographer Gerry Ellis captured the action, once again on a flight by SouthWings volunteer pilot Tom Hutchings. Read about their flight on Gerry’s blog. 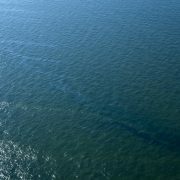 Routine satellite image monitoring of the Gulf, and anywhere else we’re drilling or considering drilling, would help answer a lot of questions about the frequency of smaller leaks and spills like this one – and could dispel public uncertainty about how our marine resources are being managed.